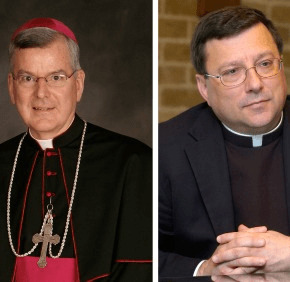 ST. PAUL, Minn. – Pope Francis accepted the resignations June 15 of Archbishop John C. Nienstedt and Auxiliary Bishop Lee A. Piche of St. Paul and Minneapolis and named coadjutor Archbishop Bernard A. Hebda of Newark, New Jersey, a canon lawyer, to be apostolic administrator of the Minnesota archdiocese. 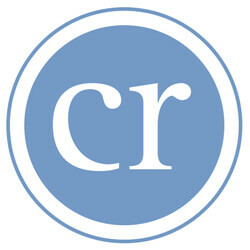 On June 5 the Ramsey County Attorney’s Office filed criminal and civil charges against the archdiocese alleging it failed to protect three boys who were sexually abused in 2008-2010 by Curtis Wehmeyer, a former priest of the archdiocese. Wehmeyer was convicted of the abuse and is serving a five-year prison sentence. He was dismissed from the priesthood in March. Archbishop Nienstedt, 68, was appointed coadjutor archbishop of St. Paul and Minneapolis in 2007, and installed as its archbishop in June 2008, succeeding Archbishop Harry J. Flynn, who retired. Prior to taking the helm of the archdiocese, Archbishop Nienstedt was bishop of New Ulm, Minnesota, from 2001 to 2007, and auxiliary bishop of Detroit from 1996 to 2001. Bishop Piche, 57, was ordained as an auxiliary for St. Paul and Minneapolis in 2009. Archbishopd Hebda plans to serve both the Minnesota and Newark archdioceses until Pope Francis names Archbishop Nienstedt’s successor. Still, he said, he hoped to meet as many people as possible in the archdiocese while still fulfilling his responsibilities in Newark. “As the universal church prepares to embark on a Year of Mercy, I look forward to getting to know this local church and experiencing in a new context the marvelous ways in which the Lord works through his people to make his grace and healing presence known and felt, even in the most challenging of times,” Archbishop Hebda said. The Archdiocese of St. Paul and Minneapolis filed in January for reorganization under Chapter 11 of the U.S. Bankruptcy Code amid mounting claims of clergy sexual abuse. In 2013, the Minnesota Legislature lifted the civil statute of limitations on claims of child sexual abuse for a three-year period. Wiering is editor of The Catholic Spirit, newspaper of the Archdiocese of St. Paul and Minneapolis. Contributing to this story was Cindy Wooden in Rome.